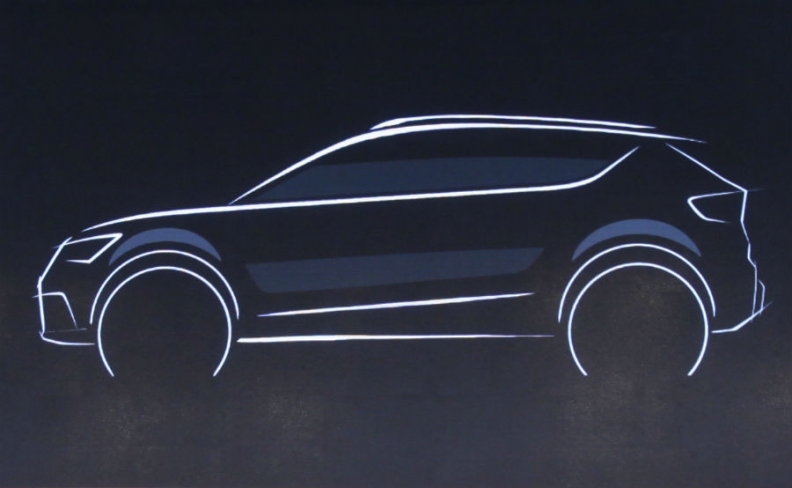 Seat's subcompact SUV will have the brand's typical sharp edges and short overhangs, this sketch released by the automaker shows. Volkswagen Group's Seat brand confirmed it will launch an entry into the booming subcompact SUV sector. The brand will begin production of the model next year, Seat said in a statement. The SUV will be built at Seat's plant in Martorell, Spain. "This is excellent news for both the brand and our main factory because it is the fastest growing segment," CEO Luca de Meo said in the statement. The new model will rival cars such as the Nissan Juke and it will be the brand's second SUV. Seat will launch its first SUV, the compact-sized Ateca, in the summer. The Ateca shares VW Group's MQB architecture with the VW Tiguan and will be built by VW’s Skoda subsidiary in the Czech Republic. Seat hasn’t yet said which platform the subcompact SUV will be based on. Last year the subcompact SUV sales in Europe increased by 36 percent to just over 1 million, according to figures from market analysts JATO Dynamics. The segment now accounts for 8 percent of the total European market and 38 percent of the total SUV volume in the region.